As a small business owner, marketing may not be one of your core competencies. Sure, you’ve read up on some of the best small business marketing strategies that work for the other players in your industry, but that doesn’t mean you’re ready to do your own marketing. One complicated but highly effective strategy you’ve probably heard of is search engine optimization (SEO). If you’ve done your homework, you already understand that doing your own SEO requires a substantial amount of time and expertise. Unfortunately, as a business owner, your time is already being stretched to the limits. For this reason, many small business owners leverage the expertise of an SEO company. Learning how to find the best SEO company for your needs is your first course of action, but that’s more difficult than it seems. There are a lot of subjective layers to search engine optimization due to the closed algorithms of the major search engines. Knowing about the latest correlative studies and best practices still doesn’t guarantee that an SEO agency will be worth your investment. To make sure that you realize a healthy ROI from your SEO firm, use these tips to find a reliable SEO company. The following five tips will help you separate the SEO wheat from the chaff. I recommend that you evaluate several marketing agencies before making a decision. Most SEO agencies have a value proposition that you can discover on their website, or during your initial discovery call about using their services. Make sure their offerings align with your small business goals. While choosing an SEO company, take note of whether or not the prospective agency representative asks you about your goals. If they start rattling off a list of what they can do for you without first checking to see what you need, you can expect further assumptions and miscommunications in the future. The value proposition should sound realistic. Guaranteed SEO results and first page rankings should be an immediate red flag. There are no guarantees in the world of search engine optimization, and deliverables that sound too good to be true probably are. You’re paying for expertise, so make sure your SEO agency is, in fact, an expert at what they do. How long has their firm been providing SEO services? Have they won any related awards for their work? Don’t let time and awards be your only measurement of experience. SEO evolves at a rapid pace, and a new provider could easily outperform a veteran that hasn’t kept up with the latest industry developments. Because there are no hard and fast rules for executing SEO strategies, it’s best to measure competency and experience by results. This brings us to the next pointer on how to find a good SEO company – case studies. A search engine optimization agency may be presenting realistic offerings and have a lot of experience, but don’t simply take their word for it. To really see how effective they are, look at the results they’ve driven for other companies. Reputable SEO companies can show you their previous successes. Getting pushback about client confidentiality is reasonable, but an experienced company will usually have a good enough relationship with at least one current of former client that is willing to stand witness to the agency’s competency. You can typically research this on your own before any sales calls by sorting through client testimonials or the firm’s portfolio page, then cross-referencing those clients with their SEO progress. You can use a tool like SEMrush to see if the agency drove significant ranking improvements for their other clients. What is the best SEO company doing to set itself apart from the others? One approach could be through acquiring certifications. There are several relevant certifications from HubSpot or SEMrush that your agency might have. If your agency also offers pay-per-click services, it might have Google Partner certifications as well. I personally wouldn’t recommend placing a tremendous amount of weight on certifications. Because of the continuous algorithm changes in the search engine marketing industry, even a certification from 8 months ago could be some somewhat obsolete. However, certifications show that the talent at any given agency is taking measures to improve, which should benefit you in the long run. 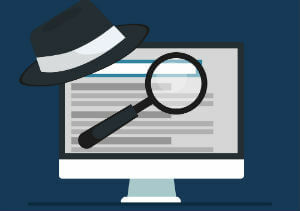 A trustworthy SEO company uses “white hat,” or what I like to call “future-proof,” SEO techniques. Unfortunately, it’s not uncommon for firms to use manipulative practices that are easy to identify, and are against most search engine guidelines. While learning how to find a good SEO company, ask the following questions to make sure your firm uses future-proof strategies. What SEO Process Do You Use and Why? Each prospective agency should be willing to outline their process to some extent. They might not get into the nitty gritty details, because at the end of the day, that’s what you’re paying them for. That being said, an overview of their process will help you determine whether or not they’re using honest techniques that will keep your site healthy for the long haul. Look out for terms like “proprietary method,” while trying to find a good SEO company, as this can sometimes equate to gaming the system through deceptive practices that the agency doesn’t want you to know about. You might think that wasting some of your money on a bad agency is the worst that can happen, but you’d be wrong. An agency that uses deceptive, or “black hat,” techniques could accidentally get your site completely removed from the Google or Bing index. Once you hire an SEO agency, how will you know if they’re delivering? Reporting will help gauge the success of the firm you decide to use. Ask them about their reporting methods. Do they use automatic or manual reporting? What online marketing metrics are they measuring? Make sure that what you deem important is something that your prospective agencies measure and report on. Learn about the communication patterns of each potential SEO agency as well. Do they schedule weekly or monthly calls to go over progress reports and discuss issues? How quickly do they typically respond to client questions? These matters of communication will affect you throughout your partnership, so make sure your expectations are reasonable. It’s easy to view an online marketing agency as a vendor because you’re paying a fee for services rendered, but this is a mistake. The best SEO companies for small businesses will take on the role of a partner. Will your agency be creating content, or are the expecting you to do it based on their research? How much access to your online profiles will they need? Your firm will be making your message visible to your target market, so make sure they understand the pain points of both you and your customers. To avoid a vendor-vendee relationship, communicate your message and concerns clearly to your agency, but keep in mind that they are experts at what they do. If an SEO agency does everything exactly as you say, it severely limits their ability to add value on a tactical level. Search engine optimization heavily involves keywords, so your message may need adjusted if you want to achieve the best results. You know what to seek out while learning how to find a good SEO company, but you should also be aware of the following red flags during your search. The best SEO companies for small business growth might not always be at the top of the search engine results pages (SERPs). It seems like a logical starting point – if you want them to help your web pages rank well, they should be able to achieve high rankings with their own web pages. Ranking highly in the competitive SEO landscape requires a huge investment of resources. However, busy agencies with a lot of happy clients are probably flooded with referral business, and investing in rankings for SEO-related search phrases with their own website would be a poor use of money. The best SEO agency could very well be operating on word-of-mouth business alone. Be careful when conducting a Google search for, “best SEO companies in [your city],” and then sorting through lists of the “best” marketing companies. It’s a common business model for business listings websites to rank highly for these terms, only to make agencies pay for inclusion. You might visit this page thinking you’re looking at a list of the best SEO companies, when really you’re looking at a list of companies that have the budget to buy your trust under false pretenses. 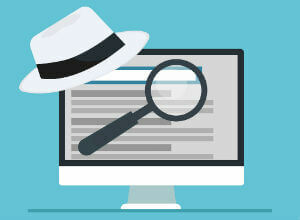 There are no secrets in white hat search engine optimization. Search engines are aiming to provide you with the best results for your query, and tricks will not stand the test of time. If your agency isn’t using honest practices, your results, if any, will be short lived. Avoid agencies that mention using secret tactics to improve your rankings. Now that you know what to look for while choosing a good SEO company, you should know how to weight your decision. The following formula is a good rule of thumb for calculating which candidate is truly your best match. You will discover a trustworthy SEO company through conversations about their process. If an agency was referred by one of your business or personal contacts, that is another great sign of quality. Through discussions and meetings with each company, pay attention to how you feel after meetings. If you find it difficult to communicate, or agency representatives aren’t transparent about how they operate, you may end up being a bad cultural fit. You might be asking yourself – how much does SEO cost? Getting quotes from several companies will help you determine an average, but keep in mind that you get what you pay for when it comes to SEO services. Make sure contract length and pricing are something that you’re comfortable with while searching for reputable SEO companies in Houston. For more information about MARION’s SEO services, contact us today!